Issue 47: Spring – It’s Not All It’s “Cracked” up to Be! Spring – It’s Not All It’s “Cracked” Up to Be! I don’t know about you, but it has been uncharacteristically warm here the past couple days (it has been fantastic) and a couple of stories in this issue of our newsletter seem to reflect our yearning for Spring. From lawnmowers catching fire to cracked decking, we may just have you appreciating the brief respite from yardwork that winter brings. Cheers! And thanks for dropping by, dear reader. 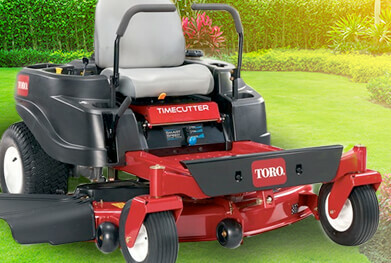 Toro TimeCutter: Is Your Lawnmower a Fire Hazard? It is believed that certain 2014 Toro TimeCutter riding lawnmowers are defective and pose a serious fire risk. Several years back, the 2015 model of the TimeCutter was recalled over this very issue and it’s suspected that the problem – specifically, that the fuel filters can become brittle, fracture, and cause fuel to leak – also affects the 2014 model. Now, a class action lawsuit could help people with the older, not-yet-recalled model get back some of the money they spent on their lawnmowers, regardless of whether they actually had a fire. Check out our dedicated page to learn more about the issue and to find out how to tell if your mower is the 2014 model. Allura Decking: Was the Recall Enough? Plycem USA recalled its Allura fiber cement decking back in 2017 due to problems with delamination and cracking. Now, a new investigation is trying to determine whether the recall fixed the issue – or whether a class action needs to be filed. If the decking was replaced with the same defective materials, if Plycem took too long to repair the decking, or if homeowners were otherwise shorted on relief, a lawsuit could help them get the recourse they deserve. If you had issues with Allura decking, be sure to check out this page and share your story. In New York, it used to be that sexual abuse victims only had until the age of 23 to file a lawsuit before they would be legally barred from taking action. Now, a new law has passed that allows those who were sexually abused as minors a full year to file lawsuits for the harm they suffered – no matter how long ago the abuse occurred. It’s still a small window, but it gives victims the chance to sue any institution or organization they believe to be responsible, including churches, summer camps, Boy and Girl Scouts of America, schools, and others. For more on this new development, we have you covered here. If you bought Canada Dry Ginger Ale products in California between December 28, 2012 and June 26, 2018, or in the other 49 states between January 1, 2013, and December 19, 2018, you may qualify for this settlement. This settlement covers anyone who used a card between April 7, 2017 and October 28, 2017 to make a purchase from one of the 325 Sonic Drive-In locations affected by the data breach. Anyone who purchased certain Black & Decker and/or Farberware brand small kitchen appliances between February 5, 2014 and October 19, 2018 may be eligible to claim a piece of this settlement. Grubhub has been accused of charging restaurants for telephone calls made through its platform, even when food orders aren’t being placed. If you’re unfamiliar, the Grubhub app serves as the middleman between hungry consumers and restaurants, and allows customers to place orders either online or via phone to have whatever they’re craving delivered to their door, which is all fine and good. The lawsuit, however, takes issue with when phone calls (rather than online orders) are made through the app. According to the case, Grubhub does nothing in these cases; the user is connected directly with the restaurant, which is responsible for taking the order, preparing the food and delivering it. But still, Grubhub takes the credit – and a commission – for these phone calls, even if the person is simply calling to ask a question about the restaurant’s hours or delivery ranges. For more on the story, check out this blog post. Though he is seemingly heavy-handed with spices, Salt Bae is allegedly quite tight-fisted when it comes to his payroll. The internet sensation and his international restaurant chain, Nusr-et Steakhouse, are facing a proposed class and collective action that claims some New York employees are being cheated out of proper wages. The plaintiff in the case says that he regularly worked more than 40 hours each week without proper minimum or overtime wages. For more background on the case (or on the walking meme himself), we’ve got this blog for you. For nearly six months, attorneys have been looking into claims that Sharp microwave drawers can overheat and catch fire. Now, it’s been discovered that Sharp may have manufactured the ovens under other brand names, including Bosch. As a result, attorneys are now looking into Bosch drawer microwaves – and their investigation has even shed some light on the defect itself. It was initially thought that there was a problem with the devices’ “magnetrons” because consumers found them to be melted – but it may actually be the wave guide that is causing electricity to arc back and damage the magnetrons. You’re up to date on the mechanics of microwave drawers, aren’t you? If you experienced a fire or even an “electrical burning” smell with your drawer microwave, you may want to head over to our page on the investigation.